The outpouring of strong U.S. economic data continued as the Dow Jones Industrial average got lifted over 100 points today thanks to private payrolls growing stronger than expected in September with 230,000 positions added. The private payrolls total easily bested the 168,000 jobs added in August and more than the 185,000 expected by a survey of economists. 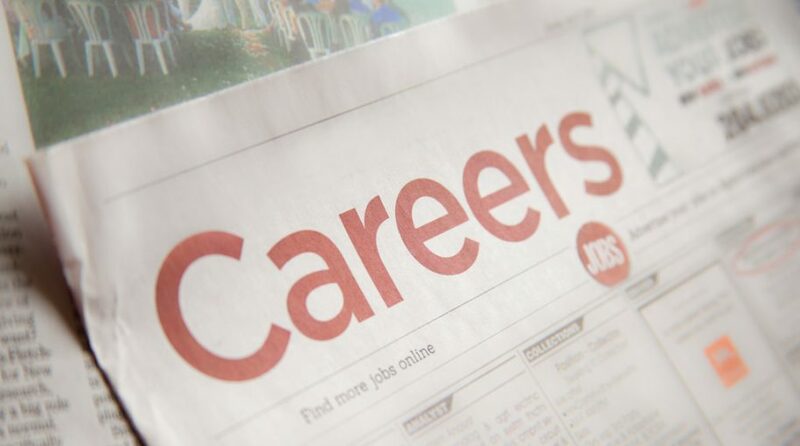 The 230,000 positions added was the highest since the 241,000 jobs added in February. 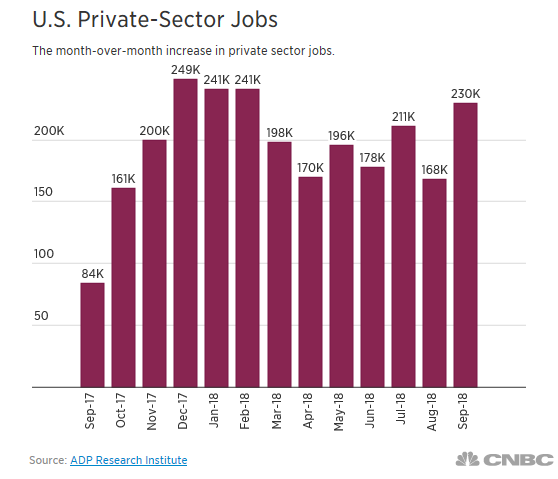 The private payrolls data comes days ahead of the nonfarm payrolls report, which a survey is also expected to come in at 185,000. The other major indexes were also up on the news with the S&P 500 gaining over 10 points and the Nasdaq Composite rose over 20 points as of 11:00 a.m. ET. Names like Intel, Boeing and Caterpillar filled the leaderboard for the Dow with Wynn Resorts topping the S&P and Nasdaq.